It has a thick cream-like texture and you need just a little amount. You’ll figure that out yourself once you start using the mask. Also, it smells heavenly! 😍😍😍 Ever wondered why your hair smelled so awesome after getting a hair wash in the salon but never got that feeling after a shower at home? Well, you’ll have the same feeling after using this mask. The smell lingers on for quite sometime after the wash which I love the most! 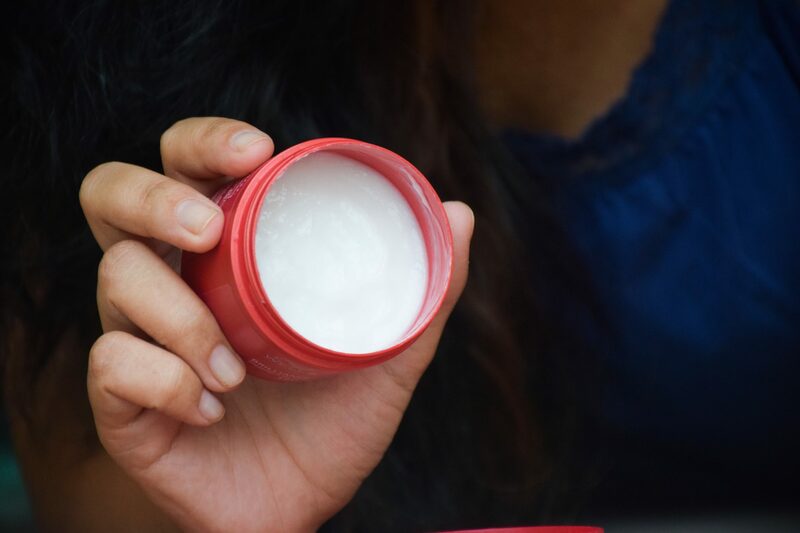 Ingredients: Water, Stearyl Alcohol, Behentrimonium Chloride, Cetyl Alcohol, Silicone Quaternium-22, Divinyldimethicone/Dimethicone Copolymer, Fragrance, Benzyl Alcohol, Phenoxyethanol, Bis-PEG-4 Dimethicone, Tocopheryl Acetate, Disodium EDTA, PEG-4 Dilaurate, PEG-4 Laurate, C12-13 Pareth-23, C12-13 Pareth-3, Iodopropynyl Butylcarbamate, PEG-4, Diamond Powder. I see less of silicones here! I use this after shampooing, as a conditioner. My hair feels so smooth and shiny which are otherwise frizzy and rough. This mask not only helped the highlights stay longer but also made my hair much more manageable. I have extremely dry ends and nothing tames them except a nourishing mask like Wella Professionals Brilliance treatment for coloured hair. And a very little goes a long way. Can you believe, I’ve been using this for 2 months now and I’ve hardly used a quarter of the tub! This is easily going to last me 3 more months, if not more. Do I need to say anything more? I am so glad I came across this amazing hair mask. My hair felt the best during this hot & humid summer, which otherwise are not. Plus, I am loving its fragrance and it doesn’t even weigh down my hair. I am going to continue using this even after my hair colour fades away. I am equally excited to try out their shampoo from the same range. It’s not every day that I recommend a product but I highly suggest you get this. Your hair is going to thank you. I have heard great things about Wella, I think it is time to try their products! 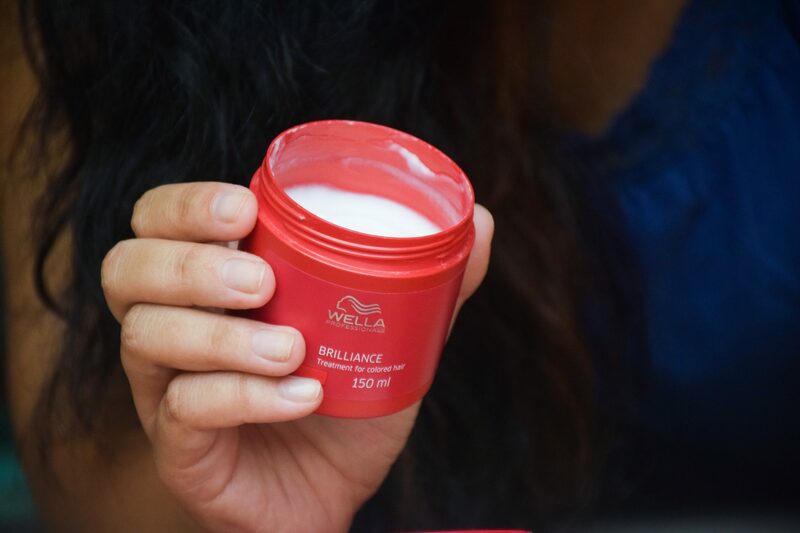 I have heard great things about wella hair care products but never gave it a try…Will buy this soon to pamper my dry and damaged hair… Lovely review and loved the snaps. I am going to try this now.I just bought their serum and this mask looks great. Thanks Bhumika for the review. Agree!! I too bought these pre colouring my hair and it worked fine on uncoloured hair too and defenitely added shine.